The Second Grade Literature Dictionary includes all the vocabulary words that are in the Second Grade Literature Guides. This simple dictionary is a great way to introduce dictionary skills to young students, and another great tool to help students become fluent readers and writers. The Rod & Staff Grade 2 Math Teacher Manual, Unit 1-2 covers the first and second student books. 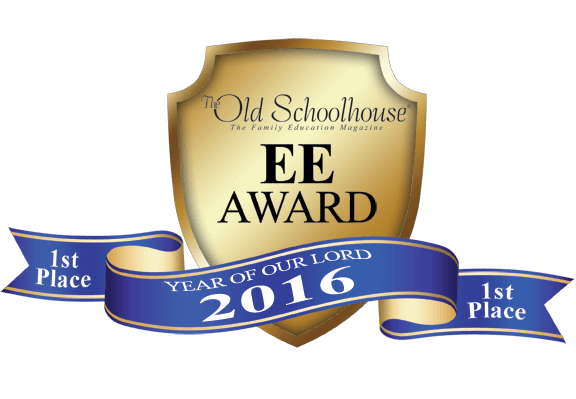 From the publisher: "The manual is essential for class time instructions and for workbook directions. Pupil's pages are shown in miniature with answers filled in." The Rod & Staff Grade 2 Math Teacher Manual, Unit 3-5 covers the third-fifth student books. From the publisher: "The manual is essential for class time instructions and for workbook directions. Pupil's pages are shown in miniature with answers filled in." Regarding the Rod & Staff Grade 2 Math Student Book Unit 1, the publisher says, "Unit 1 reviews addition and subtraction facts through 10 and other skills taught in Grade 1...."
Regarding the Rod & Staff Grade 2 Math Student Book Unit 2, the publisher says: "Unit 2 teaches all the addition and subtraction facts for 11...." In this workbook, the student will work through addition and subtraction facts for 11. In the Rod & Staff Grade 2 Math Student Book Unit 3, students will learn and practice their addition and subtraction along with carrying and borrowing facts for 12 and 13. In Rod & Staff Grade 2 Math Student Book Unit 4, the student will learn and practice their addition and subtraction along with borrowing and carrying face for 14 and 15. In the Rod & Staff Grade 2 Math Student Book Unit 5, the student will learn and practice their addition and subtraction along with borrowing and carrying facts for 16-18. Rod & Staff Grade 2 Math Blacklines provides further course work and practice for what they learn throughout the course. These Practice Sheets come on 3-ring punched paper that is meant to be put into a folder so that the sheets may be easily accessed by the student. Within the Patterns of Nature Student Guide, students will learn how to identify different objects in creation such as seeds, wildflowers, trees, etc. Students will also learn the different colors of birds and trees by way of simple yet fun exercises. The Patterns of Nature Teacher Manual gives instructions for teaching each lesson and contains the answers for the Patterns of Nature Student Book. Our original Copybook III formatted in the New American Cursive font. Our second graders complete this copybook alongside New American Cursive 2, but it also makes a good choice for older students needing more practice. Our Composition & Sketchbooks allow each student to write and illustrate compositions. These books are a great resource for all subjects and become a journal of your child's work for each year. Composition & Sketchbook II: 1/2" Ruled for 1st-2nd Grade Students - This font is also ruled with a middle dashed line, but 2-page spreads with an entire page for a drawing on the left-hand side and a page of ruled lines on the right give first and second grade students room for longer compositions. The Prima Latina Copybook is a cross-resource for Prima Latina and New American Cursive. Improve your student's Latin and Cursive skills at the same time! This tablet is ruled on both sides with a dotted center line. Each tablet contains 100 sheets. Perfect for practicing penmanship. Edward Eggleston wrote this little book in 1895, and our second graders love it. We thought we would publish it so everyone could enjoy it! We have included Eggleston's original illustrations and added some additional ones as well. Eggleston says in his preface that "the primary aim of this book is to furnish the little learner reading matter that will excite his attention and give him pleasure" and "to make the mind of the pupil familiar with some of the leading figures in the history of our country by means of personal anecdote." Students will be introduced to Washington, Franklin, Audubon, and more. The Second Grade Enrichment guide is organized by week, matching our Classical Core Curriculum Second Grade program. The week-by-week plan is organized for you the teacher to incorporate activities to bring books alive for your student! Reading is a subject that should continue through the summer to avoid regression. These new summer reading journals are the perfect way to encourage young children to continue working on reading fluency as well as exposing them to good literature. The font size gets smaller for each journal and each page is divided in half for drawing and writing small summaries. 100 Days of Summer Reading III for rising second graders encourages students to read high quality literature and think deeply about what they have read. The creative arts are an essential part of the primary school education. By using the activities in these books, you can strengthen fine-motor skills and foster creativity and confidence. The Traditional Spelling series is a comprehensive approach to teaching spelling and completes our Reading & Phonics program. Following our award-winning First Start Reading and Classical Phonics, the next step towards mastery of phonics is Traditional Spelling. Designed for students who have mastered reading "Consonant-Vowel-Consonant" words and their short vowel sounds, Traditional Spelling is intended to follow a phonics-based kindergarten program such as the Memoria Press First Start Reading program through Book D. The Traditional Spelling II Student Book contains 34 spelling lessons with a variety of activities that encourage mastery of each word list. Required Supplements: The Phonics Flashcards and Classical Phonics are required to complete all activities in Traditional Spelling. The Traditional Spelling series is a comprehensive approach to teaching spelling and completes our Reading & Phonics program. Following our award-winning First Start Reading and Classical Phonics, the next step towards mastery of phonics is Traditional Spelling. Designed for students who have mastered reading "Consonant-Vowel-Consonant" words and their short vowel sounds, Traditional Spelling is intended to follow a phonics-based kindergarten program such as the Memoria Press First Start Reading program through Book D. The Traditional Spelling Book II Teacher Manual contains all the answers to the Traditional Spelling Book II Student Book and helps guide teachers through the program. The Traditional Spelling series is a comprehensive approach to teaching spelling and completes our Reading & Phonics program. Following our award-winning First Start Reading and Classical Phonics, the next step towards mastery of phonics is Traditional Spelling. 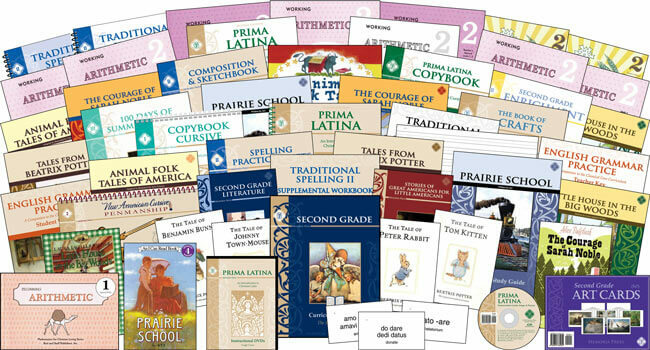 Designed for students who have mastered reading “Consonant-Vowel-Consonant” words and their short vowel sounds, Traditional Spelling is intended to follow a phonics-based kindergarten program such as the Memoria Press First Start Reading program through Book D. The Traditional Spelling Book II Practice Sheets provide extra practice for each spelling list. 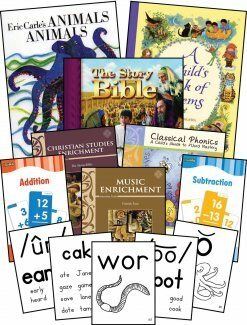 Based on years of research, Memoria Press’ Second Grade Curriculum is the fourth year of our planned Junior K-12 classical Christian curriculum. Now your child can have a Highlands Latin primary education at home using the very same materials our students and teachers use in our highly acclaimed programs. By following the daily lesson plans in our full-year Curriculum Guide, you will have every tool you need to give your child the very best education possible. Concerning Cursive: Students who have never learned cursive before should start with New American Cursive 1. The Second Grade Classical Core Curriculum is a complete classical Christian curriculum that emphasizes the traditional liberal arts of language and mathematics and the cultural heritage of the Christian West as expressed in the great works of history and literature. In the curriculum package, Memoria Press has designed and laid out a full year’s plan in a Curriculum Manual that provides day-by-day lesson plans for you the teacher! As a second grader, your student will be introduced to Latin with our award winning Prima Latina program. In second grade, your student will experience some test taking with the Latin and math curriculum. New subjects are also introduced for your child to continue expanding their classical studies. Need to customize? Not a problem. Customizing your Second Grade Curriculum is easy. Just click the “Customize” button and make your selections from the different modules. If you need help along the way, or just simply need suggestions, please contact a Memoria Press team member today! My boys are 6 and 7 and I am a first time home school mom. I chose this particular curriculum after extensive research for a few reasons… The first being the yearly schedule that is done for you! This is huge if you’re not sure what you’re doing and need to know if you’re doing your do-diligence to your kids education. Sometimes it felt like there were holes in their education if I held it to public school standards but if you look ahead and the up coming years it all falls into place. It is a lot of “stuff” to cover and so I chose to tackle cursive in the summer but I have to say that I really enjoy this curriculum. I like the lit choices and the recommended reading… The only book I didn’t really like was Patterns of Nature. I don’t feel like it was interesting for us and it was pretty dry…I often left it out opting for books from the library to cover some of our science needs. But my overall experience as a first timer was extremely positive and I will be continuing on with Memoria Press for the following year and highly recommend it! Memoria Press Second Grade Lesson Plans are written for a 5-day week for 33 weeks. My original copy is a white cardstock covered, spiral bound. They have since been updated with lovely blue durable covers. As I’ve said before, I am purely ecstatic about Memoria Press moving to spiral bind their lesson plans over the former comb bound publications! During the 2nd grade year, materials covered include Phonics, Reading & Printing (handwriting/penmanship), Working Arithmetic, Bible Memoria Work and prayers, 33 weeks of poetry, art, music, recitation, literature and related science and social studies topics. Simple literature chapter books for young readers ready to move beyond leveled readers and more. (Also new, since our use is a Second Grade Literature Dictionary. This is another book, I plan to absolutely include for my next student.) While not included in my lesson plans, other new materials that were published while we were in the midst of 2nd grade that we have since included and love are the Rod & Staff Science: Patterns of Nature set and a MP republished classic Stories of Great Americans for Little Americans. In addition, to the bits already mentioned there is also the beginning study of Latin with Prima Latin, the continuation of cursive, and of course read alouds and enrichment! Now that I have talked your head off for a day, let me return later to tell you more. I love the variety! There really is so much material, its hard to believe that it isn’t overwhelming. Everything is layed out nicely. I enjoy learning Latin with our kids even though that isn’t necessary with the DVDs provided. Our kids look forward to the different books they get to read along with the comprehension questions. There is lots of helpful tips for the teacher in the teacher manuals. I recommend this curriculum to all my fellow home school mommas!